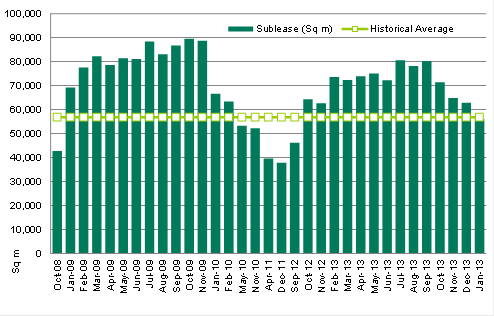 Sydney, 26 February 2014 – The volume of sublease space in the Sydney CBD has dropped below the historic average for the first time since late 2012 as landlords become increasingly flexible in allowing tenants to surrender office suites. The latest Sublease Barometer from CBRE highlights the volume of available city space dropped by 6,884sqm to 55,960sqm during January – well down on last year’s high of just over 80,000sqm. CBRE Senior Director, Office Services, Jenine Cranston, said there was a greater sense of optimism in the market which had led, in several instances, to tenants withdrawing sublease space with a view to reoccupying at some stage in the future. “This demonstrates an optimism and strategic approach not seen in the market consistently for several years,” Ms Cranston said, adding that landlords were also actively managing sublease stock and increasingly willing to work with tenants on sublease solutions. 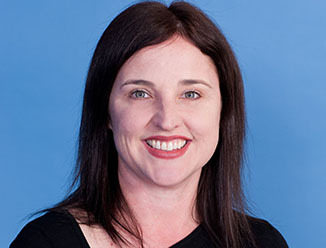 “By allowing tenants to surrender leases, owners have the ability to strike new, longer term lease deals which in turn improves the overall leasing profile of their buildings,” Ms Cranston said. The CBRE Sublease Barometer tracks both the volume of sublease space and the trends occurring within different industry groups and market sectors in the CBD. The decline in January represents the fourth consecutive monthly drop. Since September last year, there has been a decline of almost 25,000sqm in the volume of sublease space on the market fuelled by a number of factors – including landlord renegotiations, space being sub-let and sublease space converting to direct vacancy. Ms Cranston said the finance and insurance sector was also gradually stemming the flow of sublease space being released to the market, which was a positive sign moving forward. “While the finance and insurance sector still accounts for 59% of the sublease space on the market, this is continuing to trend downwards,” Ms Cranston said. However, Ms Cranston said the expectation was that overall leasing conditions would continue to prove challenging until late 2014 given the modest outlook for white collar employment growth.